Well, what can I say? These are 2 of my biggest inspirations. 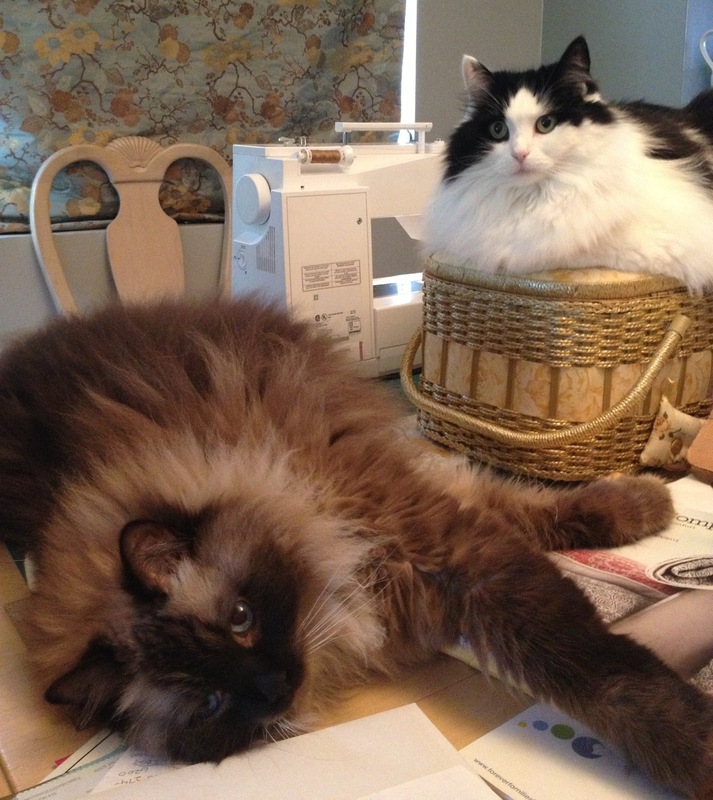 They often follow me around our home, sit on quilts, fabric, and of course Emma’s favorite spot, on top of my sewing box. The handsome cat sprawled across the table is Biscuit, who has a heart of gold. He has a quilt dedicated to him which I hand quilted while recuperating from hip surgery last year. Emma’s is “in progress” at the hand quilting stage. The fabric on the back of her quilt is very special. Actually one of the fabrics in his quilt has special significance too. I will upload them this week. Right now I am working on the bear kit quilt. Jeni Baker has done an amazing job of explain the color wheel.